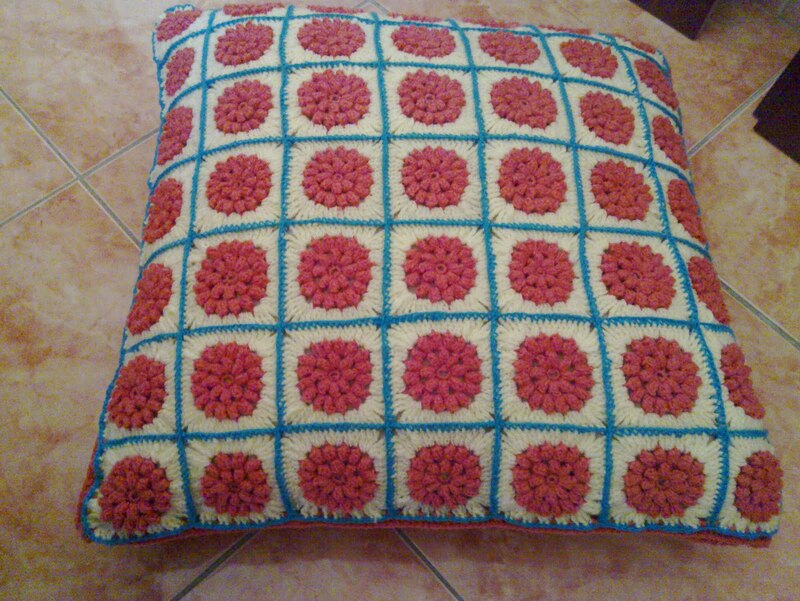 I have completed the pillow! Yay! 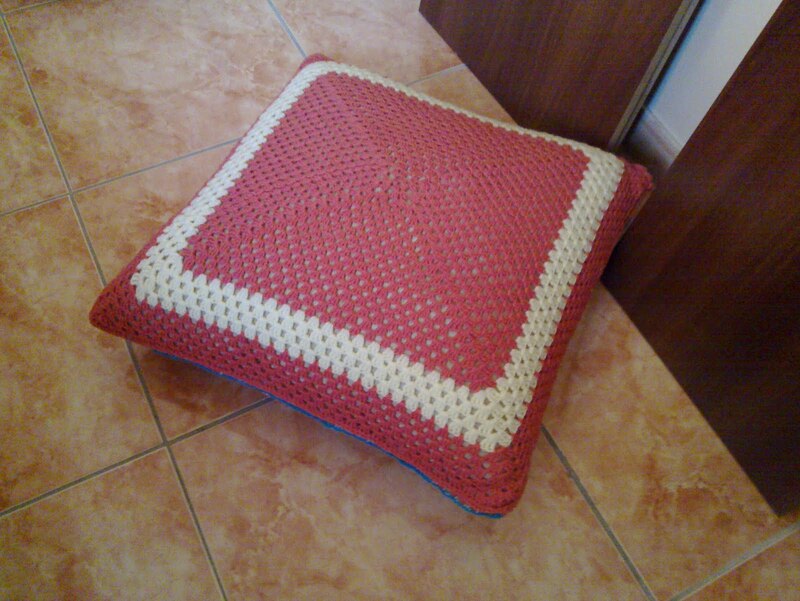 There is absolutely nothing as amazing as making something and then… sitting on it! Literally. This is Side A. The pretty granny squares. It was hard work but fun. This is Side B. I took up FruitfulFusion‘s advice on the giant granny square idea because that was the quickest idea. I did try a couple of other backing ideas which included more granny squares and plain dc stitches but… I got into trouble. I had only one ball of the yellow yarn left and I wanted to use more of the pink one. This project was to finish my stash of pink yarn. I still have 4-5 balls of it left but atleast I finished 7-8. In the middle of it all I had gotten bored of crochet. I took the break to try chinese knots and that was a change enough to get me back to finishing this project. This is supposed to be my son’s pillow. He loves to sit on cushions and he loved it when he saw it today morning. It ws so funny, his expression. He actually asked if he could sit on it. ‘It is so pretty’, he said. he liked it! he liked it! i like it tooo! it&#39;s lovely and cool! My Father liked it so much he came over to click a picture of it. That really tells that I did a good job! make one for uncle too, then!